Managing your business’s to-do list can be a daunting task right? This is especially true if you are in the business of content creation for clients as well as your own website. It is easy to get sidetracked, forget brilliant ideas that popped into your mind at the strangest moments, and fall behind when you simply have so much to do. Luckily, all it takes is a little bit of strategic planning and organization to get your content marketing plan on track using an editorial calendar. Today we will take a look at one of the most popular editorial calendars on the market to see how you can set consistent posting goals, plan out content ideas weeks in advance, get onboard with your entire team, and share your ideas with your targeted audience using one WordPress plugin: CoSchedule. Before jumping into what CoSchedule is, let’s get a handle on what exactly an editorial calendar is. CoSchedule is a premium editorial calendar that allows you to schedule blog posts, social media, team tasks, and more all from inside your WordPress dashboard. It all started when CoSchedule’s creators were stuck with too many to-do lists and spreadsheets and not enough productive work being published on a regular basis. Though a problem many website owners face on the daily, this small team became frustrated enough that they wanted to create a tool to help marketers and bloggers plan and publish ideas, share them with the world, and save time in the process. And thus CoSchedule was developed. CoSchedule is a standout editorial calendar because it has some very powerful features included that are unique to most generic editorial calendars available today. CoSchedule was designed as a marketing calendar that is beautiful in design and practical to use thanks to its drag & drop abilities. You can plan, publish, and promote all of your website’s content directly from your WordPress dashboard. Gone are the days of opening up multiple programs, logging into several accounts, and losing track of what has been completed. From CoSchedule, you can see it all in one localized place. 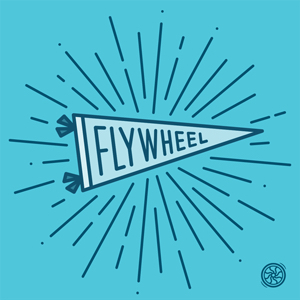 Create a smooth workflow for your team with commenting sections for communication. Write content in WordPress, Evernote, Google Docs, or CoSchedule’s custom editor and upload it right into your calendar for publishing and sharing. Easily drag and change publishing dates and add new projects with a few simple clicks; no manual rescheduling needed, CoSchedule automatically shifts deadlines for you. One of the most profound features CoSchedule offers website owners is the ability to share both your own and curated content on various social media platforms such as Facebook, Twitter, LinkedIn, Pinterest, and Google+. It is all on one social media content calendar too so there is no need to log into multiple accounts and post everything separately. Can you say time saver? Endless email strings, missed deadlines, and inconsistent publishing of content can result when you do not have a streamlined way of communicating with your team. Using CoSchedule’s all-in-one tool you can assign tasks, include notes about projects, set deadlines, and send automatic email notifications to publish content. There is a neat section in your dashboard labeled ‘My Tasks’ where you can assign yourself or team members duties that is visible once you log on. There is also another section called ‘My Upcoming Posts and Content’ so that you can see what is set to be published. This provides a great way for you to evaluate where you may need to fill in the holes as far as content publishing is concerned. Headlines for blog posts, email subject lines, and even social media posts are what drives traffic to your website. Engaging your audience with a well-crafted headline is the key to getting a larger readership and more social sharing. CoSchedule has a headline analyzer that is designed to analyze and rate the strength of your headlines before your content gets published. Your score is based on how common or uncommon the headline is, how emotional it is, and how powerful it is. You can even check for things like optimal character length for Google search results and email subject lines and see a live preview of how your readers will view your headlines. Another helpful thing CoSchedule does for website owners is understand that sometimes other software, tools, or programs are used in the content creation process. Rather than force users to use only the plugin’s specific features, the creators of CoSchedule made the plugin flexible by allowing you to combine your tools with CoSchedule’s features. WordPress. Turn drafts created in your WordPress dashboard into real content by uploading directly into CoSchedule. Chrome Extension. Sharing any content, not just your own, is easy to do using this extension, and you never have to leave your browser. Evernote and Google Docs. 2 popular tools that are integrated into CoSchedule so you can drag & drop your projects directly into your editorial calendar from external sources. Google Calendar. Share with others using Google Calendar what your content marketing plans are by synching the two tools. Google Analytics. Using custom Google Analytics tags, CoSchedule helps you to understand how your content is improving. 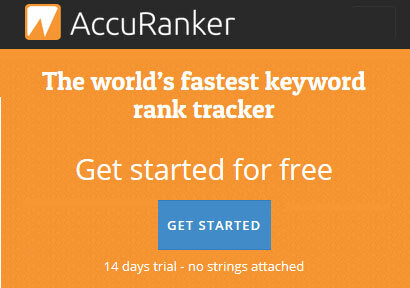 See where and how many times your content has been shared across the web to find your perfect audience and see what kind of content is doing the best. Bit.ly. Connect your custom Bit.ly account into CoSchedule for easy shortening of permalinks. Buffer. If you want to spread your content to Google+, easily integrate your Buffer account into CoSchedule. 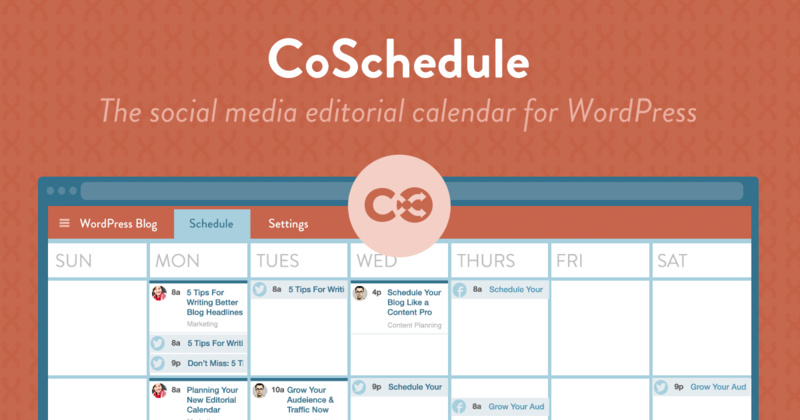 CoSchedule is a premium editorial calendar plugin that offers a free 14 day, full access trial. And if you need a little extra time to test it out, they will even extend your trial 7 days so you can get a real feel for how CoSchedule can help with your content marketing strategy. CoSchedule is packed full of features and can have what some may deem a steep learning curve when first starting out. That’s why the creators of CoSchedule provide users with an in-depth documentation section with multiple articles on getting started, integrations, working with a team, accounts and billing, social media publishing, troubleshooting, and even include a video library. What’s more, there is a built-in Help Section in the CoSchedule dashboard where you can contact any one of their team members with questions you may have. Lastly, there are 7 video master courses available in the CoSchedule dashboard that you can follow along with so you can “master your editorial calendar at your own pace” and create an efficient content marketing strategy. In the end CoSchedule is one of the most exhaustive editorial calendar plugin solutions available for WordPress users. Planning, publishing, and promoting content from one convenient place is what all website owners are after. Organization, visual appeal, and ease of use should be top priorities when it comes to choosing the perfect editorial calendar solution. CoSchedule has all of this and more making it a standout in the competition. If you are on the lookout for something to keep your content marketing strategy pinned down and on track, I highly recommend taking CoSchedule for a spin. Once you get the hang of it you will never want to go back to the “other ways” you planned your content publishing. Have you ever used CoSchedule as an editorial calendar? What did you find most useful about it? I would love to hear all about it in the comments below! Summary: CoSchedule is an amazing tools and if you run your own blog or are a content marketer and run other sites this tools is a must have. If you are reading this review to help you decide if you should install CoSchedule do yourself a favor and try it free for 14 days. You won’t be disappointed. It’s an extremely powerful tool that integrates beautifully with WordPress using their plugin. Hi Lindsay! Thanks for the killer review! The entire CoSchedule team loved reading it! I am so happy the team loved the review. I can honestly say that CoSchedule is an amazing tool for website owners of all kinds. It has great features that go above and beyond most editorial calendars and can really make a difference in a content marketing strategy’s success. This is a great review! I just did my own review of CoSchedule (for the 50% discount) and realized I can add so much more after reading yours. Great job! Plus awesome screenshots, those were a determining factor for me when considering trying it out. It was totally worth it.